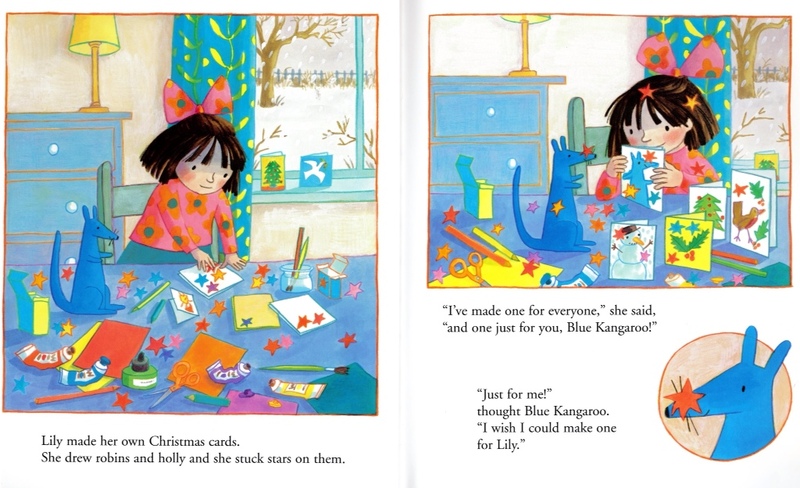 On the third day of December here's Emma Chichester Clark's Merry Christmas Blue Kangaroo, the story of the loveable marsupial who has everything, but just wants to give something back to his beloved Lily. 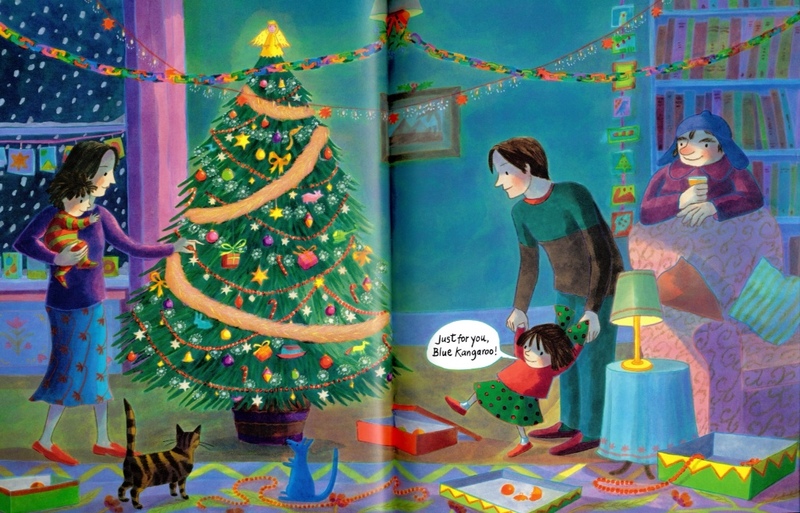 As every child knows it's the run up to the big day that is the best bit of Christmas. Doing the many little preparations that help ratchet up the excitement. Lily is lucky, her mother has sensibly provided glue to put together her paper chains. But I can still taste the gum, mixed with the minute paper cuts that came from years of licking many thousands of pieces of cheap coloured paper. Every home should have one of these beautifully lit Emma Chichester Clark trees, it has an almost divine glow about it. Even the cat, and the possibly alcoholic relative are bathing in its glory. 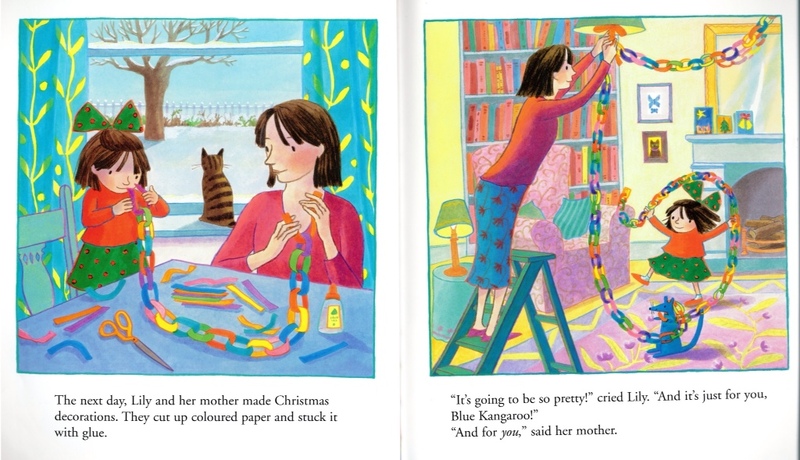 Tags: Emma Chichester Clark, Merry christmas Blue Kangaroo. Bookmark the permalink.